Are You Among the Millions Who Unknowingly Have Prediabetes? Nearly 26 million Americans have diabetes and another 79 million have prediabetes — and many of them don’t know it. While there are no clear symptoms for prediabetes, you can look for some warning signs, says Kathy Levin, registered dietitian and diabetes program coordinator with Memorial Diabetes Services. These may include symptoms of diabetes like fatigue or symptoms of low blood glucose like shakiness caused by elevated insulin levels as glucose levels start to rise in prediabetes. Be physically active. It can help lower your weight, blood glucose and blood pressure. Try taking a walk for a half-hour most days of the week. Even shorter walks totaling 30 minutes each day will help. Make smart food choices. Eat fewer calories and cut down on saturated fat. Choose lower-calorie snacks, such as pretzels instead of potato chips. If you go out to eat, share your main course with a friend or family member. If you’re overweight, losing even a few pounds can help. Studies have shown that losing 7 percent of your weight (about 15 pounds if you weigh 200 pounds, for example) can prevent or delay your risk of diabetes. Take any medications as prescribed. If you have diabetes or are concerned that you may have prediabetes, Memorial Medical Center and the Springfield YMCA are offering a free community diabetes awareness health fair from 11 a.m. to 3 p.m. Thursday, Nov. 14, at the Gus and Flora Kerasotes YMCA, 4550 W. Iles Ave. The fair will feature interactive fitness demonstrations and free health screenings. 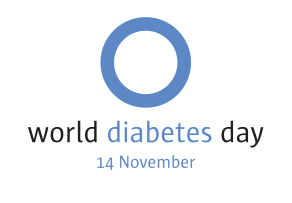 Registered dietitians with Memorial Diabetes Services, which is accredited by the American Association of Diabetes Educators, will offer information about the prevention, diagnosis and treatment of diabetes and can answer questions about how to manage all aspects of the disease. The health fair will be in the YMCA’s gymnasium. For more details, visit MemorialDiabetesServices.com or call 217-788-3948 .